0.0.1 Paint your Modern Italian Kitchen the color of clay tiles for a Tuscan look. Paint your Modern Italian Kitchen the color of clay tiles for a Tuscan look. Whether you prefer the timeworn splendor of Venice or the rustic charm of Tuscany, let the colors of Italy inspire the modern kitchen in your new home. 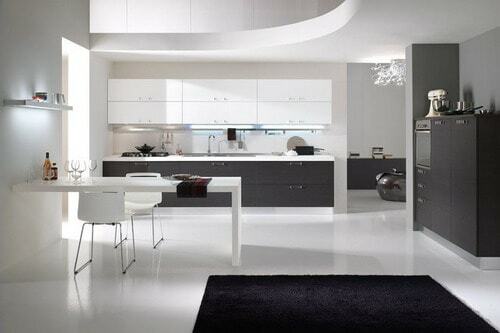 Modern Italian Kitchen paint colors are rich and relaxed. They’ll warm up your kitchen and make it feel homey. Use plain latex to nod at Italian style, or layer the color for an authentic-looking, aged plaster effect. Few paint colors epitomize Tuscany like the rusty orange of terracotta, the color of baked clay tiles and cooking crocks. Terracotta walls complement painted cabinetry and natural wood stains equally well. Terracotta mixes well with accents of gold, Mediterranean blue and shades of green ranging from pear to olive. For a fiery effect, combine terracotta with warm red. If you long for the energy of a red kitchen, create a rustic Italian feel with tomato red paint. The look is warmer and earthier than you’d get with blue-based reds. 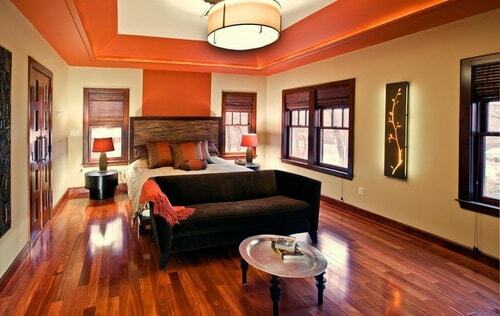 Tomato and other brown- or orange-based reds look good with deep, rich wood tones and most natural stone. Mix tomato red with gold and pear green for modern Tuscan style. Sun-kissed yellow greens from pear to olive suit modern Italian kitchen, particularly those evoking the casual, earthy feel of Tuscany. Choose your favorite between the two or use them together. 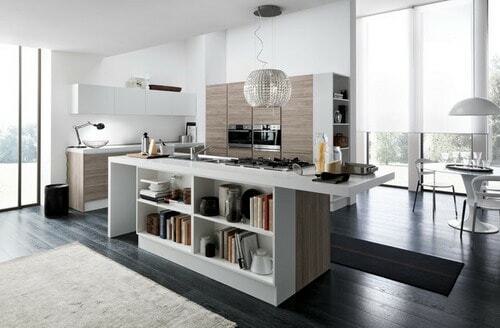 As a wall color, pear helps brighten a kitchen that doesn’t have much natural light. Neutral olive works well on walls or painted cabinetry. Mix pear and olive with accents of terracotta, gold, plum and brown-based burgundy. Gold is a modern paint color choice for any modern Italian kitchen, from the sophisticated gilt of Venice to the sun-drenched shades of the countryside. For city style, add a hint of metallic sheen to the paint. For country appeal, use golds that range from deep ocher to bright sunflower. A gold-painted kitchen provides a neutral background for brighter accessories and colors. Gold mixes well with nearly any color but really pops with red, cobalt blue, turquoise and plum. You’ll find plum and purple shades throughout Italy — from the regal appointments of Venice to the lavender fields of Tuscany. Plums and purples look rich against medium to dark natural wood finishes on cabinetry, and they complement most natural stones used for countertops and tiles. For a sophisticated Venetian-inspired look, combine plum- or purple-painted walls with accents of metallic gold, garnet red and Mediterranean blue. Get a rustic look by mixing it with sunflower yellow, terracotta and olive.